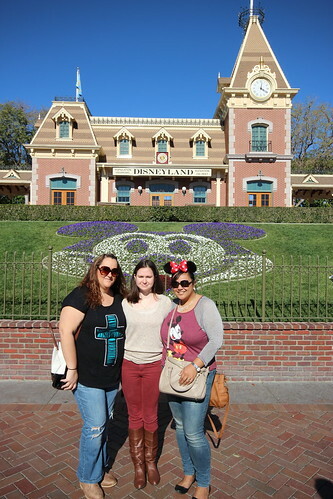 My cousin had never been to Disneyland before, so we thought it would be fun to take her as a reward for getting such good grades this past school year! 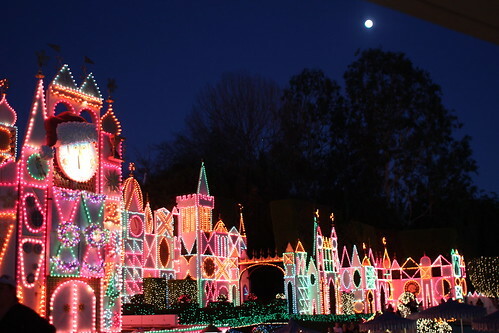 It’s always fun to take a first-timer to Disneyland; it’s like you can feel their anticipation and excitement. I mean, c’mon, even when you’re a grown adult, you’re excited. Need proof? See picture below, haha. Her first character meeting was with Mickey, but I don’t have that on my SLR. Those are all on G’s phone. How cool is that?! 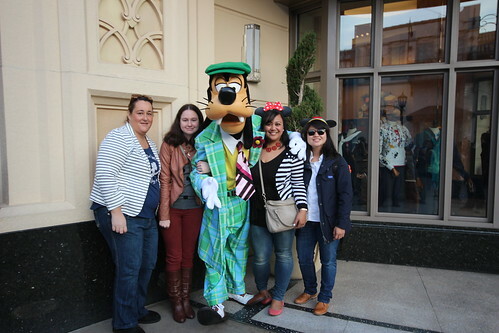 Meeting Mickey right when you enter the park! The kiddo was super excited to drive! 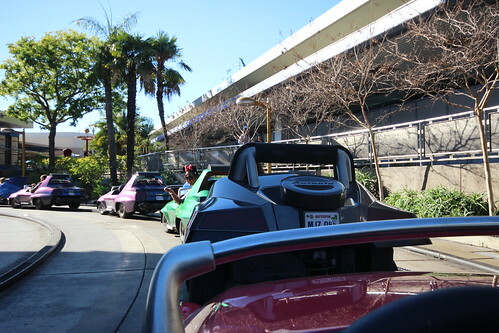 Who wouldn’t be excited to drive in Disneyland [especially when the wait time for Autopia was only ten minutes]?! Below is a picture of us before doing Haunted Mansion. 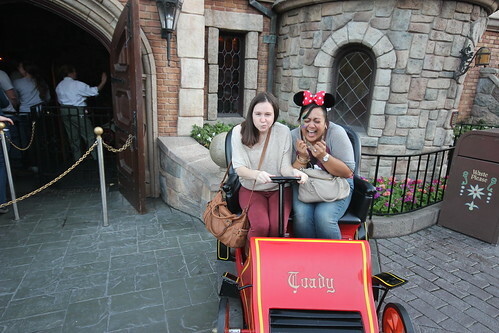 Surprisingly, the wait time for this ride was only five minutes. Yippee! After Haunted Mansion, they all went on Splash Mountain [I always sit this one out]. 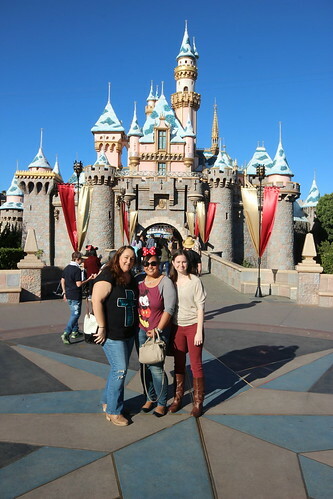 You can’t go to Disneyland without taking the obligatory castle photo and playing in Fantasyland. I love my cousin’s commentary on the It’s a Small World ride: “These dolls are creepy”. Gotta love a nine year old’s remarks! We also played in the wacky Toon Town. Yup, there you have it, K’s first time in Disneyland. She really enjoyed it, so I’m pretty sure we’ll be coming back with her again next year. Wishing everyone a wonderful [and safe] 4th of July! …upon a star, makes no difference who you are. The older I get, the more I find Disneyland to be more magical. 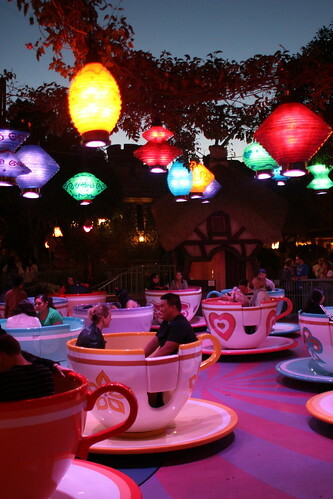 I’ve always wanted to go to Disneyland during Halloween tIme, but I never got around to doing so. This was the first year that our schedules allowed, so we packed up and headed down South. We met up with one of my college besties, Alex. 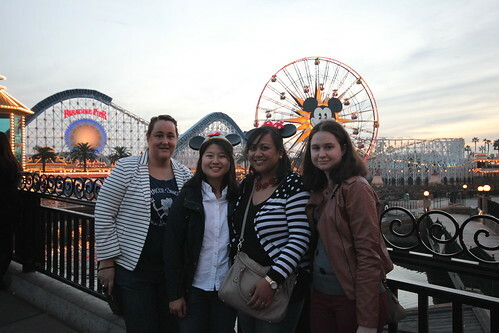 It’s been a couple years since we last hung out, so it was awesome to see her and her fiancee in Disneyland! We loved how they decked out Haunted Mansion! …and our visit wouldn’t have been complete without a parade and a fireworks show, Halloween style, of course! 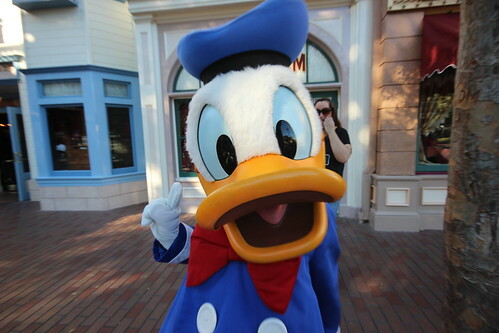 We were so excited to finally see Donald in his Stormtrooper costume! After the fireworks show, we hustled across the park to meet and greet with Jack and Sally! What Dapper Dans?! During Halloween time, they turn into the Cadaver Dans! …and they sing Halloween songs, too! 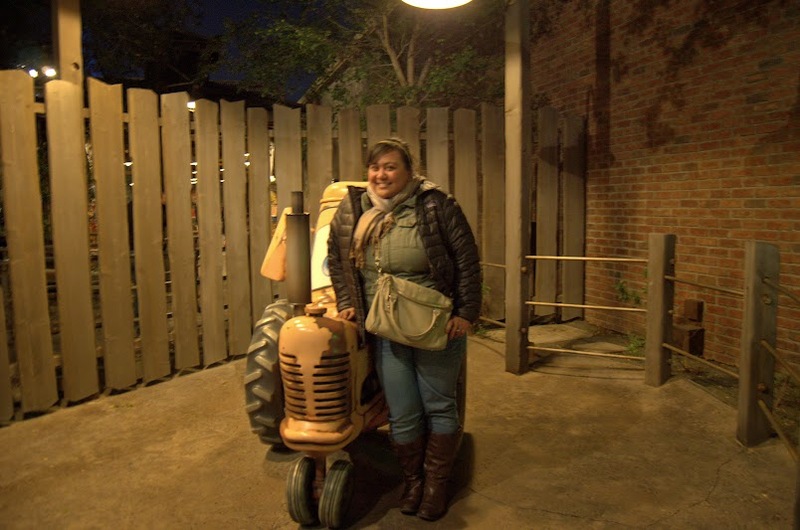 As promised, I’m writing a post with a handful of pictures that we took while in Disneyland. Like I said in my last post, there’s something magical about this place. It’s like you can’t stop smiling the moment you walk into the park. Oh, and how could I not post some firework photos?! The show was great, although I ended up in a horrible viewing spot. Maybe next time, I’ll make note to be right in front of the castle at the start of the show with my tripod set up and ready to go. 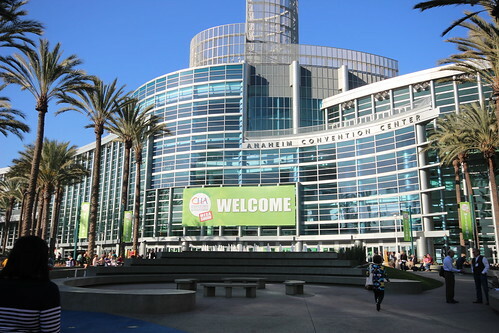 Stay tuned for some of the photos we took at the past winter CHA show! 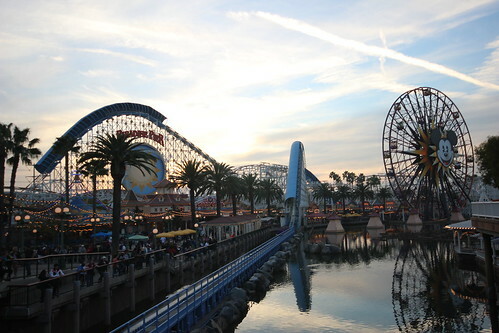 There’s definitely something magical about being at Disneyland and California Adventures. The older I get, the more I appreciate the whole experience – the props, the costumes, the rides, the food, just everything. Today I wanted to share our day playing at California Adventures. 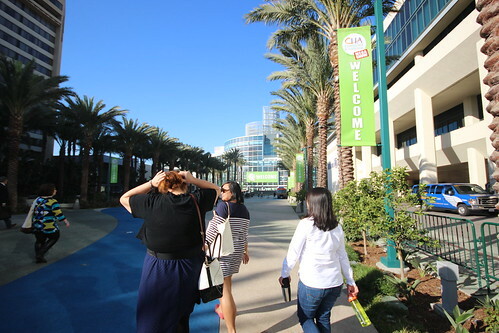 On our first day, we had such a blast. Yup, there was an entry malfunction into California Adventures. G’s ticket wouldn’t print for some reason, so I chuckled to myself while G and Ann were on the other side of the gate. I’m not going to lie; if they weren’t allowed in, I was going to ditch them both for the happiest place on Earth, haha! Just kidding! How do I not share a picture of The Little Mermaid ride?! It’s only one of my favorite Disney movies, haha. Besides, King Triton’s carousel ride is awesome, especially with the seahorses! The wait for Toy Story Midway Mania wasn’t that long with good company. Yup, we had a bunch of fun taking pictures. California Screamin’ is obviously not something I was planning on riding, but below you’ll find a picture of them in the front row. 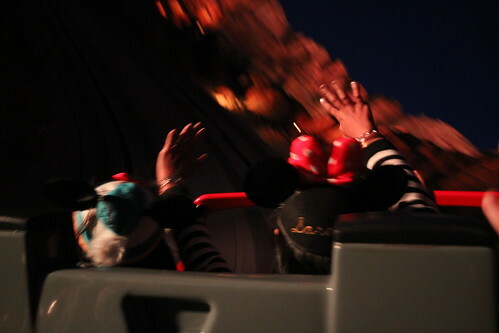 Cars Land is so worth the ticket into California Adventures. 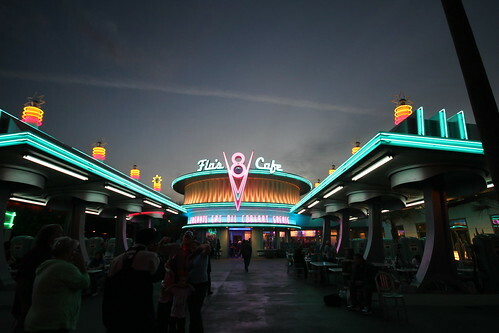 The set up is so much like the movie; you actually feel like you’re walking around Radiator Springs. …and if you’re there after sunset, make sure to stick around for the World of Color show. We got a prime spot for this show, and it was phenomenal. I absolutely loved it. 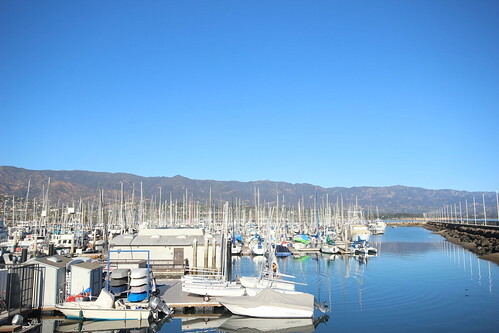 Looking at these pictures is making me feel like I need to go back. Soon enough, soon enough… I’ll be free. Things seriously just got happier! 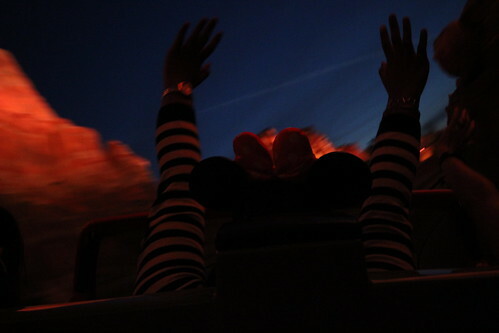 Stay tuned for Disneyland photos, adventures at CHA, and more layouts that I have been working on.